My lovely friends, thank you so much for the enthusiasm and encouragement that greeted my Book Girl announcement next week. Your words, and book recommendations (please, keep them coming!) and excitement for the project gird me with such energy and joy. I have long said that the reading life is a gift, and in many ways, this book is a gift I can't wait to craft and offer in honour of the many friendships, conversations, and kindred-spirit spaces created by sharing beloved words. Your words here have been such a gift to me. I'm currently in a determined (sometimes rather dogged) push toward the completion of my three written submissions for my final year so my writing here may be a bit random, but it's still a delight to share a few of the treasures I cull throughout these crammed weeks. First. Oh, bless the Lord and thank all that's gloriously good, spring is coming. The last few days have been gentle, dove-coloured ones with a warming air that makes me feel that I've emerged out of a dark cave into the sunlight. I'm blinking. Breathing a bit more deeply. Stretching my legs in the evenings. The first buds are climbing out of the wintered branches, small stars of palest pink in the dark weave of the trees. I don't know that I have ever experienced the relief that coming springtime brings to this extent. That the whole world aches and breathes and bursts with hope every year afresh, what a gift, what a promise. Second, I've taken a short break on the 'evil' paper (I'm fascinated, but I have too many questions and thoughts! ), and have been working instead on a paper on Celtic theology and why so many in the modern world find it attractive. 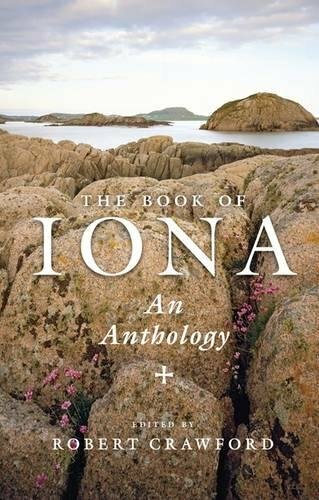 This morning I've been reading The Book of Iona, a gift from my beloved sister, and one that explores the tension between 'remoteness and connectedness' in the modern world. I've used the Northumbria Community's Celtic Daily Prayer: Prayers and Readings From the Northumbria Community for years and found such sustenance in its words. 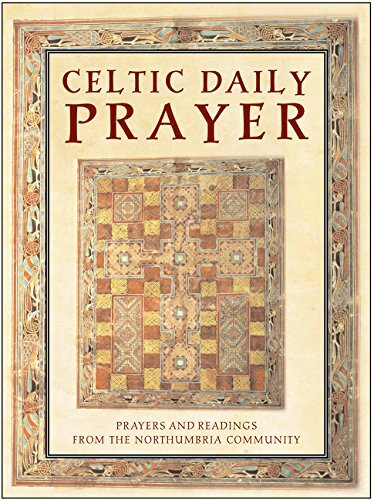 I find that the lyrical rhythm and imagery of the Celtic prayers startle me back awake to wonder, and it is this phenomenon I'm examining in the paper. There's a reason beautiful words evoke a stilled, wondering mind, a profoundly theological one that I am excited by discovering afresh in my study. More soon. Finally, I've been mulling a word that I came across in my recent reading of Philippians: gentleness (in 4:5). To me, it seems a quality mostly absent from the public sphere of debate and increasingly polarized opinion. And in many ways, it is not the quality to which my anxious, urgent mind is drawn as I daily watch the news, read the responses to it on social media, and feel my own mind drawn ever deeper into the grey, misty shadowlands of despair about the state of the world. Further, it's not, I realised, what I usually consider a responsible quality. I have not yet fully traced this in myself, but whether its part of my American orientation toward assertion of rights, or my experience of apologetics training in which I was taught to identify, debate, and stand apart from whatever I considered to be wrong or unorthdox, I have realised that my inbred impulse when I deeply disagree with – a person, a church, an institution – is to separate myself from them. And to separate with a marked degree of sternness, even condemnation. And yet, let your gentleness be known to all, says Paul, for the Lord is near. Your gentleness. Not merely your conviction, or your condemnation, or your anger, or your fear. Your gentleness. Of course, Paul was never one for mincing words when it came to his disapproval over a theological issue, so I think it evident that gentleness can accompany conviction. What then, is this quality of gentleness, of 'fair, mild, equitableness' (as described by Strong's concordance) that is to mark those who realise that the Lord is near? Does it mean not saying what I really think? After several days of mulling this, I think that the gentleness to which Paul summons us is a facet of Christ-like care for the other, one that always recognises the goal of conviction as the loved, healed, and redeemed heart of the human person, rather than the winning of an argument. There is a clear, qualitative difference between the passive inaction of compromise, and the chosen care of gentleness. Gentleness is active love. Gentleness refuses to dehumanise the 'other' even in unavoidable divergence of conviction. Gentleness fights to reveal that 'God is near' to the human heart that beats and aches on the other side of our many modern controversies. Further, I think that gentleness can only operate where we do realise that Christ is near, fighting, healing, helping us in the midst of the very worst valleys of shadow and doubt. Gentleness rarely flourishes when conversations are driven by fear, shaped by panic. I don't think its a coincidence that directly after he tells us to be gentle, Paul also tells us to 'be anxious for nothing'. Only in the giving of my fear, my angst, to the near and loving Christ, can I find a 'peace that passes understanding', one that enfleshes itself in a supernatural (because it really is!) gentleness.